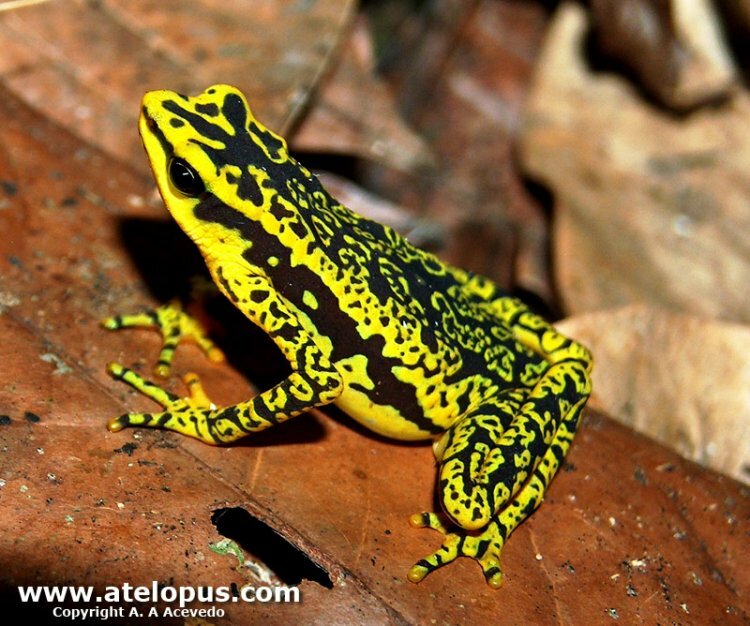 Native to Venezuela and was described as A. varius at first. 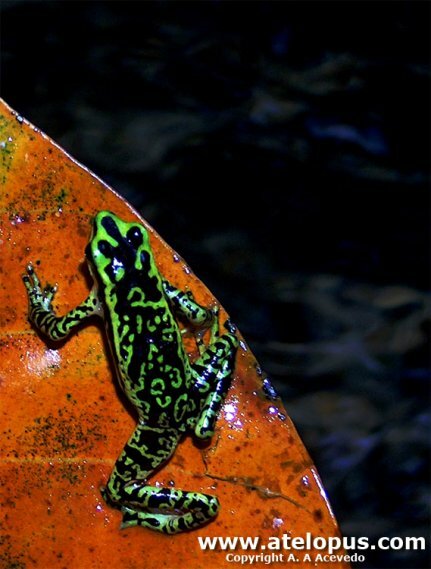 This species is endemic a few spots in Northern Coastal mounains of Venezuela. 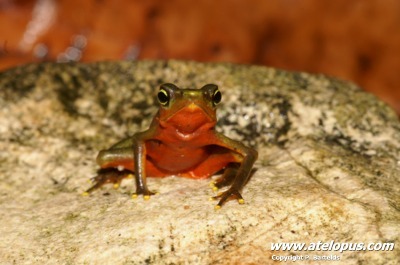 It has been found on altitudes between 30-2200 meter above sea level (asl) in montane and lowland humid forest. The Historic range was probably throughout the whole entire mountainous area of the central coastal range but is documented restricted to several localities in the northern and southern versants of the Cordillera de la Costa of Venezuela (Estadoes Aragua, Carabobo, Miranda, Vargas, Yaracuy and the Distrito Federal). 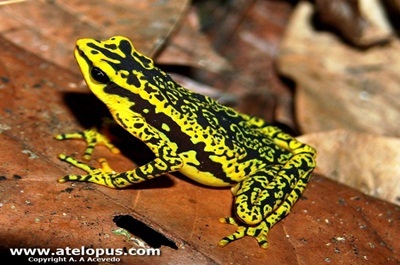 It has also been found in the Cerro Azul, Estado Cojedes in 1998. 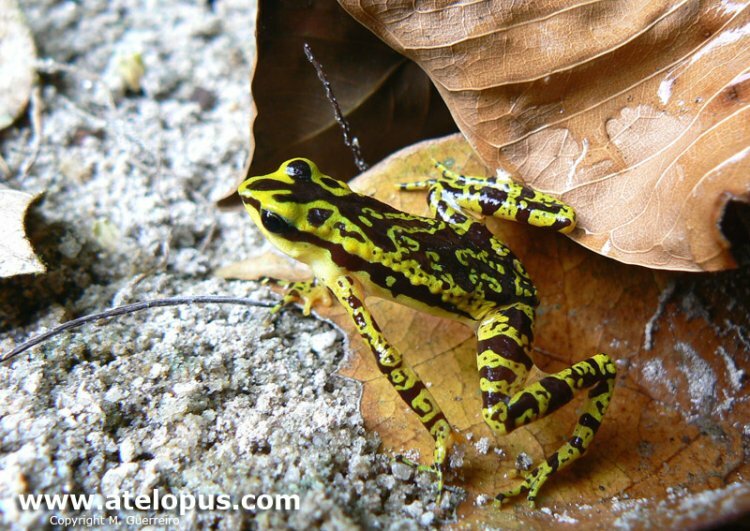 There are only three populations known at moment and they are all found at lower elevations along a cascading mountain stream in cloud forest. There was two very small population found on the northern slopes of Parque Nacional Henri Pittier in 2004-2005 at 322m and 220m asl after a total of 246 person hours of intensive searching. There there has also been reported an observation from Río El Duro, Edo, Aragua in 2006. 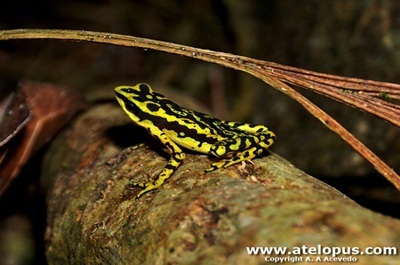 One adult male was found morbid at Rió Cata at the Northern slope of Parqie Nacional Henri Pittier in 2007. DNA analysys of tissue samples from this male revealed high levels of infections. Ecvessive skin sloughing indicated that chytidomyscosis was probably implicated. 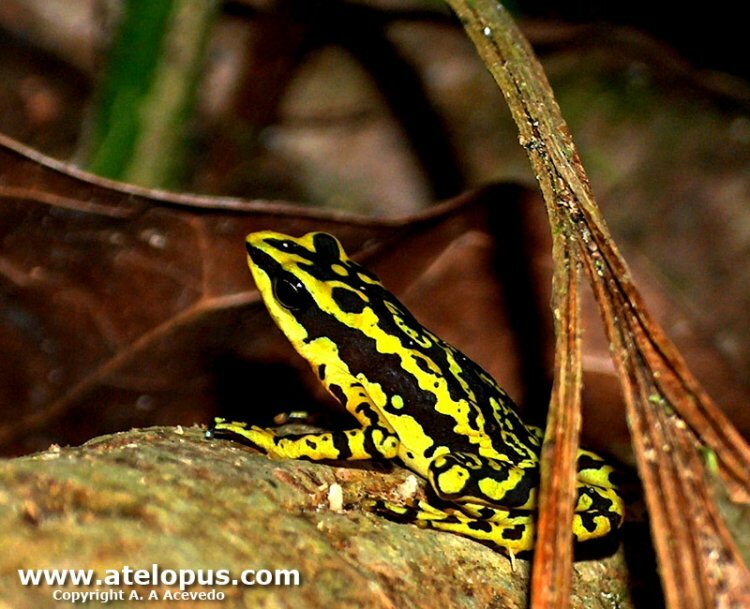 Atelopus cruciger has undergone a rapid decline, with most of the population having disappeared, despite many of the known localities falling within national parks (Parque Nacional Henri Pittier, Parque Nacional Rancho Grande and Parque Nacional San Esteban. Museum records indicate that A. cruciger was formerly abundant, with 627 records from 33 localities, widely distributed over most of the Cordillera de La Costa. This species was thought to be extinct after only two specimens were collected in 1986 and no individuals were discovered in the years immediately post-1986. 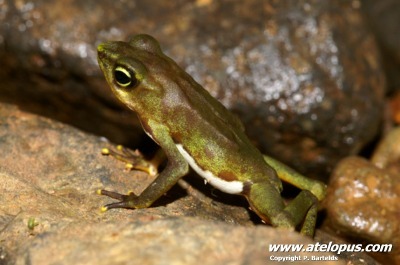 Of the last two specimens collected in 1986, one of the two was retrospectively examined by histology and reported to have been infected with Chytridiomycosis. 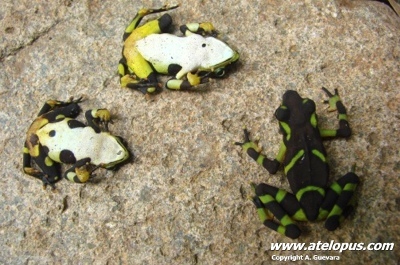 It is thought to be the primary factor in the rapid decline of several other Venezuelan Andean members of this genus (A. carbonerensis, A. mucubajiensis, and A. sorianoi). 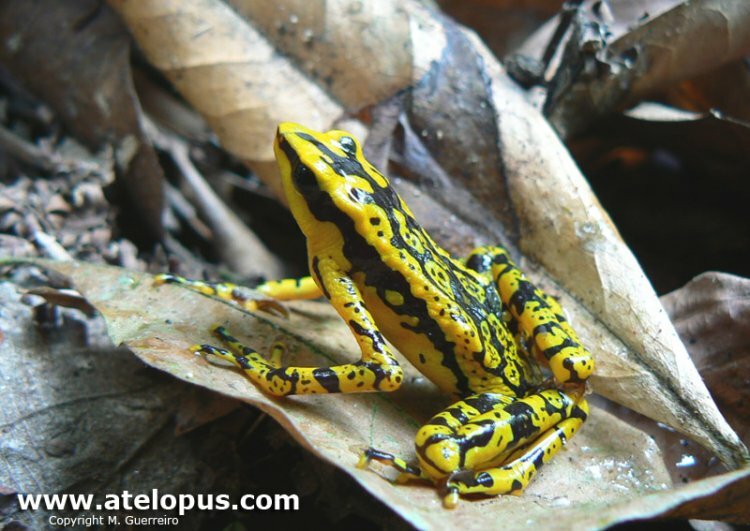 The existing Atelopus cruciger populations in the Parque Nacional Henri Pittier are infected with Bd, and one adult male was found morbid and heavily infected (Rodríguez-Contreras et al. 2008). Another possible threat is industrial pollution, particularly in the Valencia-Maracay area where many industries are emitting gases . Before its disappearance, A. cruciger was occasionally collected for the pet trade. 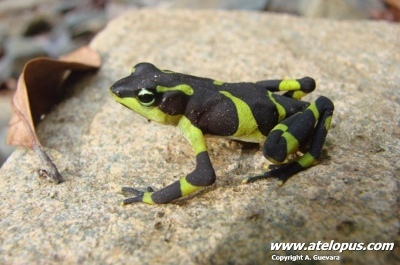 Chytridiomycosis as a Possible Cause of Population Declines in Atelopus cruciger - Elisa Bonaccorso, Juan M. Guyasamin, Diana Méndez, Richard Speare - PDF Available. 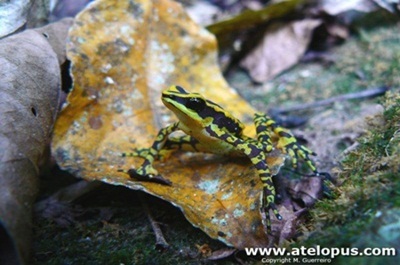 Rediscovery of Atelopus cruciger - Argelia Rodrígez-Contreras, J. Celsa Señaris, Margarita Lampo, Ramón Rivero - PDF Available. Jesús Manzanilla, Enrique La Marca, Ronald Heyer, Ernesto Fernández-Badillo 2004. 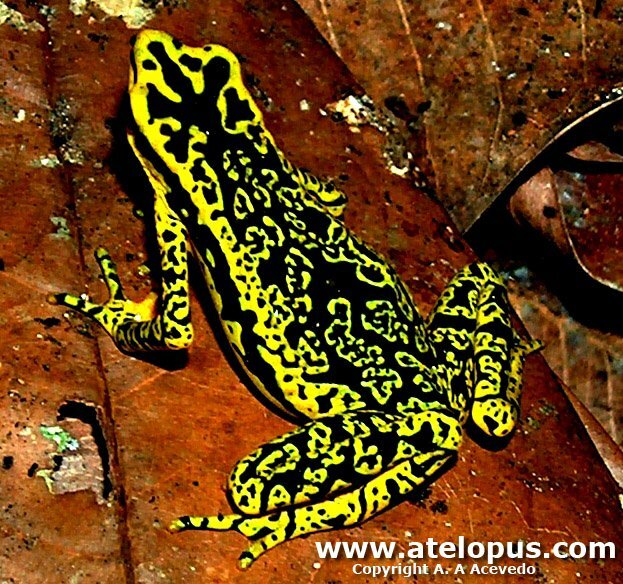 Atelopus cruciger. The IUCN Red List of Threatened Species. Version 2015.2. <www.iucnredlist.org>. A.cruciger - Venezuela. Was disapeared from 1982-2001 until it was rediscovered. There are only a very few specimens left in wild and the species are classed as criticly endangered.